Here at Lisa’s Passion for Popcorn we take our popcorn-making very seriously. Using only the best ingredients (and team) to make our popcorn so that you can have a quality, delicious snack! Now, how does the magic happen? Read to find out. Beginning at the basic level, what kind of popcorn do we use? Well, it depends. When making our candied, kettle, chocolate, or cheese covered popcorn we use what is called Mushroom Popcorn. This is how we deliver every bag with the least amount of crumbs and the maximum amount of deliciousness. When popping our famous buttered popcorn (which comes in five, ten, fifteen and twenty gallon sizes *cough cough*) we use a more familiar seed, giving you the classic butter + salt + fresh popcorn = yummy in my tummy combination you love. Moving on to the actual making-of-the-fancy-popcorn part, we use cooking pots! For example, our famous Caramel Popcorn is created by cooking a brown sugar, butter, and popcorn mixture (nope! Not caramel flavoring like some people use. We don’t use cheese powder either in case you were wondering…) - at very high temperatures - in our cooking pots and then spreading it out to cool before bagging. It seems simple but our cooks are actually required to go through significant training to know exactly when to turn off the heat so your popcorn isn’t overly chewy or sugary. Once the popcorn has been thoroughly coated and sifted, our production team bags and seals each bag, checking the crumb levels, comparing bag fills, and making sure we only serve you our best work. Not every popcorn creator does this! You’ll notice with other brands sometimes the crumb-iness can be overwhelming; what’s the point in having a treat if half of it is smashed? We always do our best to sift out the most amount of seeds and crumbs as possible. This process is constantly being perfected and we are happy to receive comments from you - whether that be improvements that can be made or simply a congratulations on making the best popcorn in the world. If you have any more questions feel free to comment or message us on our Facebook or Instagram page. 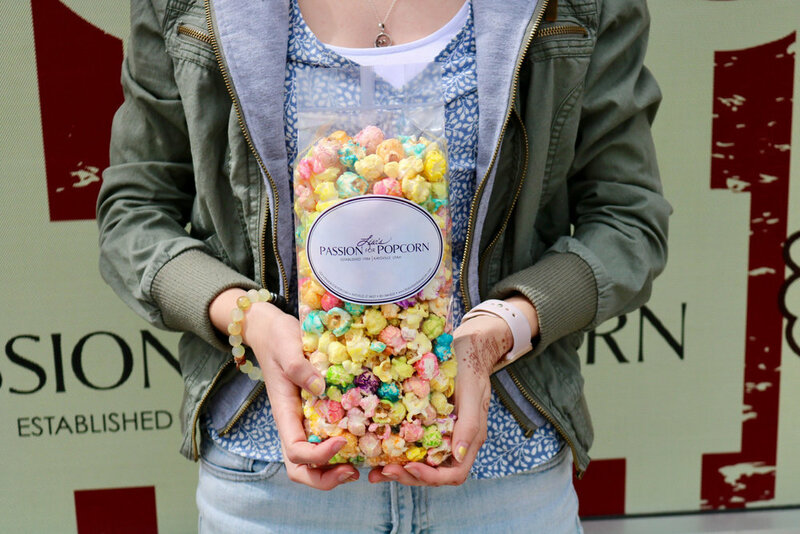 And of course, we hope you enjoy Lisa’s Passion for Popcorn.